They are rich, famous and powerful. They are role models for thousands of Ghanaians, especially girls, across the country. But these women have something that sets apart from other woman of their stature: their singleness. For such powerful women, however, being single is a choice. A broadcaster with Accra-based Citi FM, Jessica has 16 years’ experience in broadcasting. She told Graphic Showbiz in 2014 that she was engaged, but did not disclose the identity of her man. “I don’t believe in celebrities publicly displaying their love-affairs because it attracts attention. If you make your lover known and the relationship doesn’t work out, how do you explain to your admirers? It is better as a celebrity to keep your love affair away from the public because you can never tell who is working against you,” she said. She is a broadcaster of 20 years with Accra-based Joy FM. Affectionately called the “queen of the airwaves”, she is shockingly still single. Not much is known about her personal life. The actress and movie producer stated in an interview this year that she was single because she did not want to rush into marriage and rush out. Yvonne who was brought up by a single mother said she did not want her children to go through her experience. She is one of the most popular media personalities in the country and a mother of one. In a 2014 Twitter chat, she said she was seeing someone and would love to have another child. She added, however, that marriage was not for everyone. 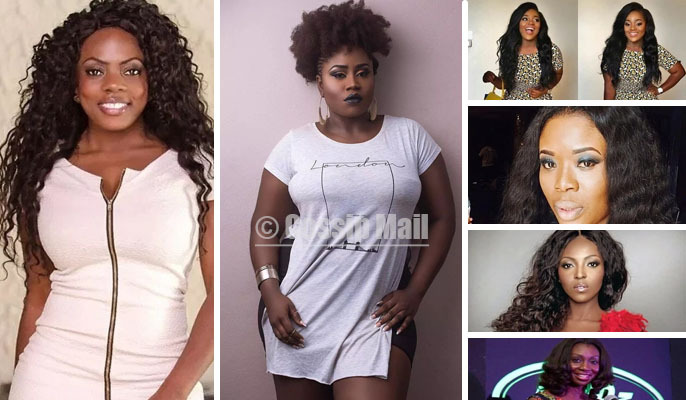 The star actress is one of the most sought-after bachelorettes in Ghana. It’s not clear why she is still single. Last year, she joked that she was not married because she was overqualified for marriage. The actress called it quits with her husband and father of her son and has since been single. The media personality is thought to have a boyfriend, but it’s not known when she will :"settle down". She is a media personality and actress and a mother of one. She was reported to be dating Joey Gucci, the founder/CEO of Silhouette Advertising. It is not clear if it will lead to marriage.